The LifeStyle Building Building Blocks Model is my synthesis of what research shows are the trusted elements of a healthy and happy life. 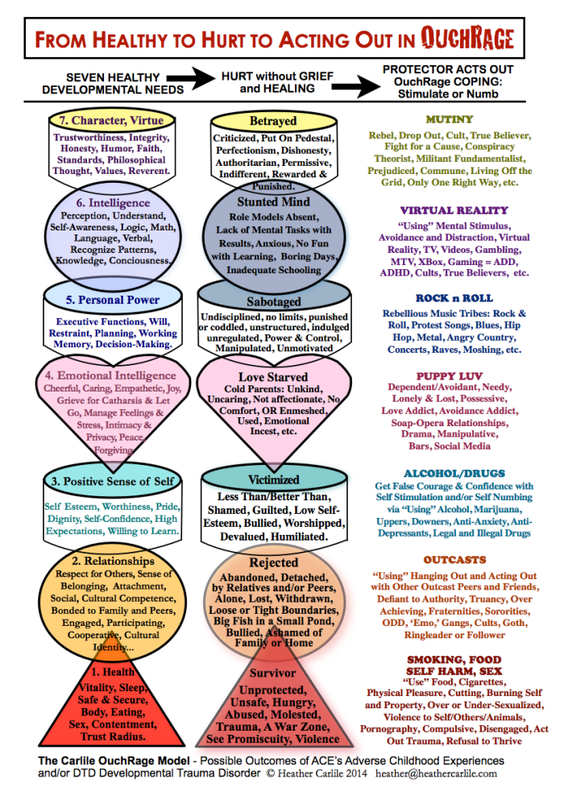 Over many years, I devoted myself to researching and building a model which would illustrate all elements for our internal abilities and the dimensions of daily life so that there are no blind spots. IDENTITY: The first column on the left illustrates the development of the seven parts of Identity which is the task for adolescent learning. 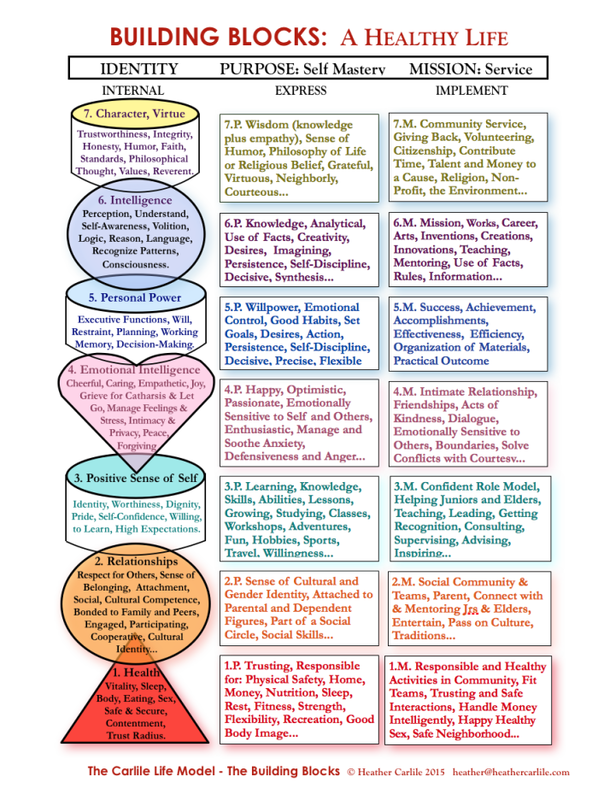 PURPOSE: Then, in the second column those abilities are expressed as our Purpose or the mastery of those talents. MISSION: The third column shows examples of how those abilities can be implemented as a part of our Mission or the type of service we offer the world. FAILURE TO SUCCEED: But, what happens when our children don’t learn these basic human abilities? 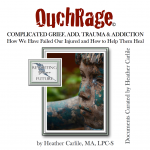 What happens when they are deprived, hurt, abused or traumatized in these areas? 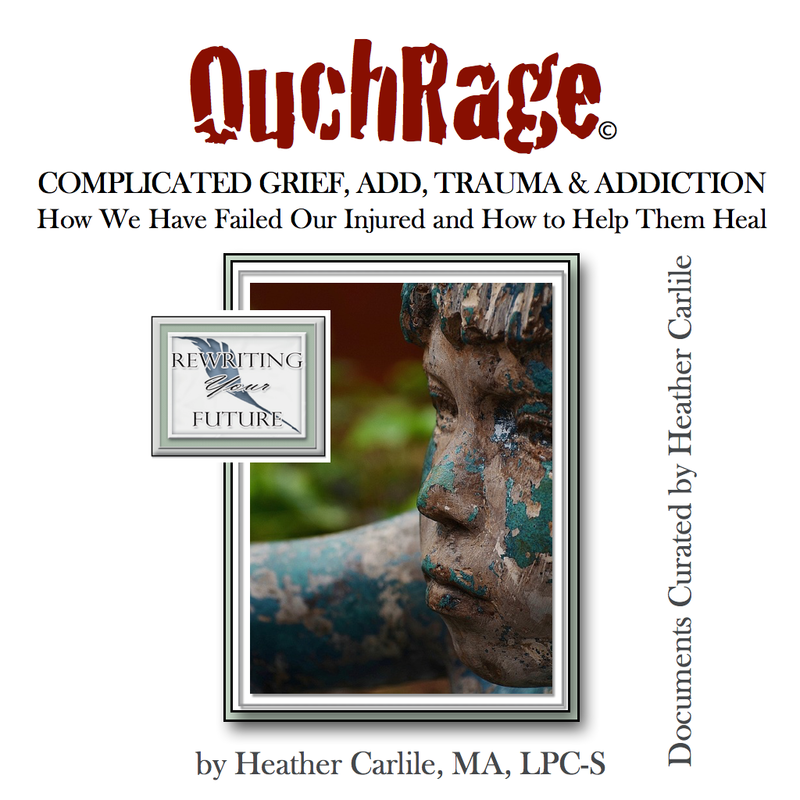 OUCHRAGE: My OuchRage Model diagrams the general ways we now know that people use to cope with the deprivation or wounds which are experienced through the growing up years. When these hurts are left unhealed and when grief is avoided or incomplete. People are flawed and formed by their very human experiences. We have all been, to some greater or lesser degree, endangered, abandoned, orphaned, victimized, sabotaged, stunted or betrayed in our growth. Our Internal Protector will try to defend from more hurt and will try to avoid the pain with compensatory self-comforting, distraction, dissociation or numbing. The severity of the harm predicts the intensity of the defensive tactics. MAKES SENSE: Today’s knowledge is sufficient for us to connect the dots. The sources of failure, anxiety, low self-esteem, depression, defiance, hatred, rage and war are understandable. If we are able to understand, the solutions can be constructed. 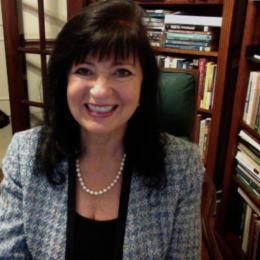 Depending on the layers of complexity, the severity of the hurt and the requisites for implementing effective change, I posit that we can sculpt new ways of creating a healthy life.